A not-so-scary scarecrow for Halloween this year. A close friend of mine suggested this costume and it was really a great fit for Tin. She could stand out in a corn field in a T pose all day, but not a crow would be frightened because this scarecrow is just so cute. The outfit comes with the straw hat, scarecrow make-up and sunflower. This dress and jacket combination led my mind in so many directions that it was hard to narrow down to just two looks. In the end, the striped jersey knit and bohemian inspired silk dresses won out, both topped with softly worn denim. 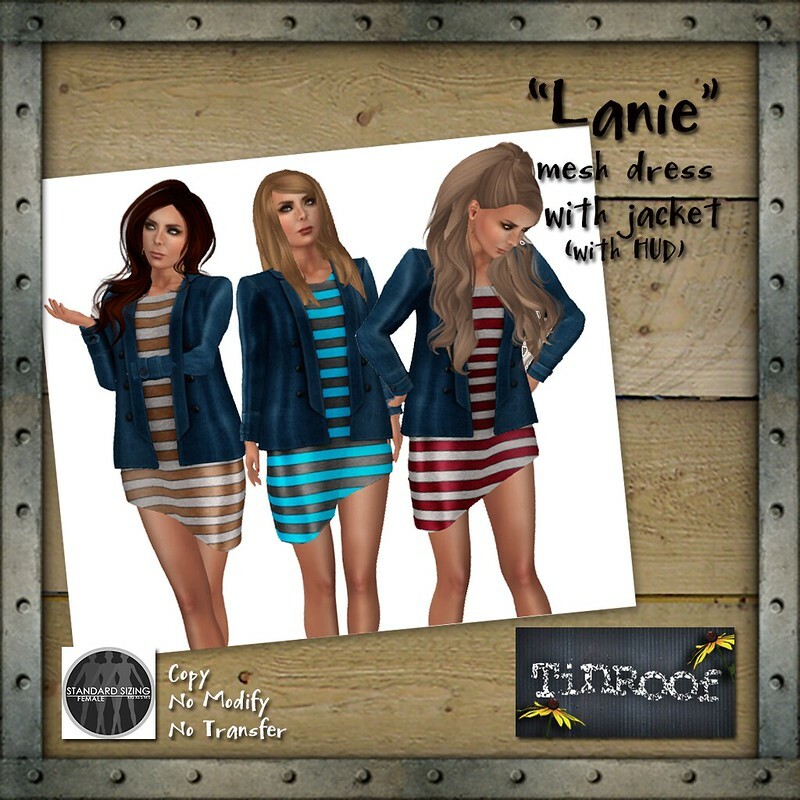 The Lanie striped dress comes with a HUD that offers three color options. It’s out at my main store for only 250L. You’ll find it right next to the refugee t-shirts which are free. 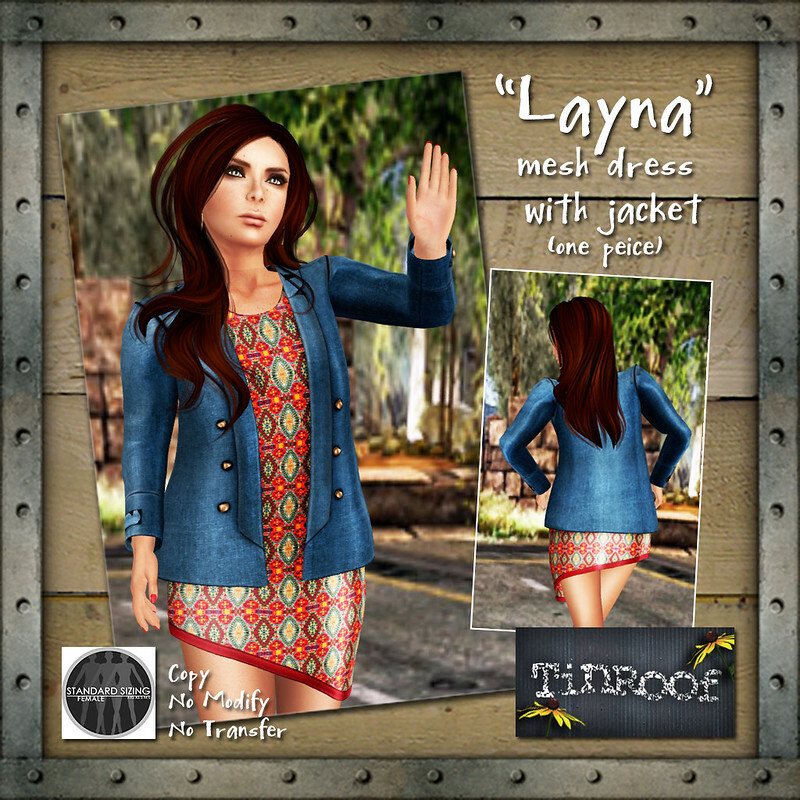 The Layna boho inspired dress and jacket have been set out at the TGIF area just outside of Blacklace for only 99L. I’ll be working on something for Halloween over the next few weeks. If you have ideas or requests, please send them my way!